Warriors have suffered yet another injury blow with first team regular defender Devine Lunga set to miss the back-to-back Africa Cup of Nations Group G qualifiers against Democratic Republic of Congo due to an ankle problem sustained at the weekend. The two nations clash in Kinshasa on Saturday before the return fixture in Harare on Tuesday. Currently leading the group, the Warriors will need to collect at least four points from these two matches against this highly talented DRC side to stand a good chance of qualifying for the finals next year. Top two teams from this group, which also has Liberia and Congo Brazzaville, will book a ticket to the finals, set for Cameroon in January. Zimbabwe will travel to Kinshasa without South African-based left-back Lunga who suffered a suspected trauma to his left dorsal foot, which caused swelling and tenderness on his ankle during a league match between his team Golden Arrows and Black Leopards on Sunday. 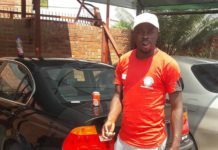 The former Chicken Inn player was hauled off the pitch on the hour mark, in a game his team went on to win 1-0, with compatriot Knox Mtizwa, also on the Warriors squad, scoring the only goal of the match. “It’s a huge blow for the team considering that he is a regular in the squad. 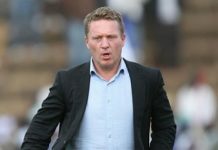 It’s unfortunate that the injuries continue to pile up, but we are confident that the replacements will do an equally good job,” Warriors team manager Wellington Mupandare said. Lunga played the whole match for the Warriors in their last qualifier away to Congo Brazzaville last month, where they secured a point. He also played all the games for the Warriors at the Cosafa championships in June where the team won the title. The Warriors have already lost striker Evans Rusike, who also sustained an ankle injury. Lunga’s absence will give Ronald Pfumbidzai a chance to stake a claim in the first team. The Bloemfontein Celtic defender, who has been used as a central defender at his South African premiership side, was initially omitted from the squad for the previous qualifier against Congo Brazzaville, and only called up after Costa Nhamoinesu pulled out due to an injury. Besides Nhamoinesu, who has also asked to be excused for this tie claiming a shoulder injury – although he continues to play regularly for his Czech Republic side Sparta Prague — other Warriors stars who could not be selected due to injuries are Tino Kadewere and Nyasha Mushekwi. Mushekwi has also continued to play for his Chinese Super league team Dalian Yifang and scored a brace in the 3-1 win over Jiangsu Suning on Saturday, which took his goal tally for the season to 14, and is in the race for the golden boot award. But coach Sunday Chidzambga is welcoming back into the squad Marvellous Nakamba and Ovidy Karuru, who both missed the trip to Brazzaville due to injuries. Nottingham Forest defender Tendayi Darikwa is also in the squad after he secured his Zimbabwean passport. The England-born defender flew into Harare yesterday, and joined the bulk of the squad for camp ahead of their departure for Kinshasa this evening, where they will spend more time to acclimatise to the hot and humid conditions expected in the DRC capital this week. All the South African-based players reported for camp yesterday, while Belgium-based stars Nakamba and skipper Knowledge Musona are expected this afternoon. It is the lack of game time for Musona at his club Anderlecht that is of a major concern to the Warriors fans, but not so for the Warriors technical team. “Our wish is too see all the players getting regular game time at their respective clubs. Unfortunately for Musona, it has not been the case and we are not sure of the reasons. But it’s not a big concern for us because he had the same problem at Hoffeinhaem, but he continued to deliver for Warriors. We expect the same from him in this campaign,” Mupandare said. Musona is the joint top goal scorer in the current Afcon campaign with three goals, following his hat-trick in the opener against Liberia. He has struggled for regular game time for his new club, making just two starts in six appearances this term. The team has played 13 matches, including two Europa League matches and a Cup game. Previous article“Mnangagwa Is Illegitimate, He Must Step Down!